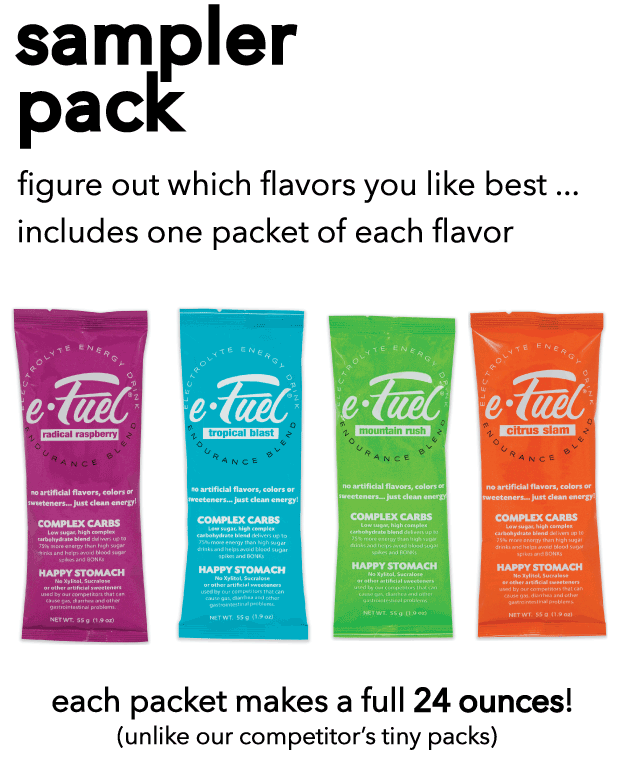 Each 55 g packet makes a full 24 oz bottle. 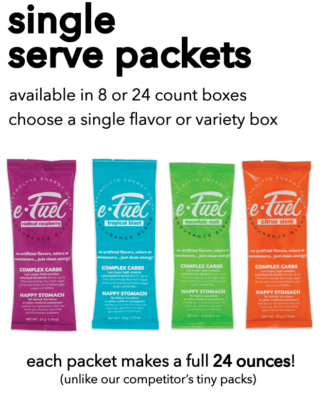 e-Fuel’s blend of low sugar and high complex carbohydrates delivers up to 75% more energy than high sugar drinks and helps avoid blood sugar spikes and crashes. 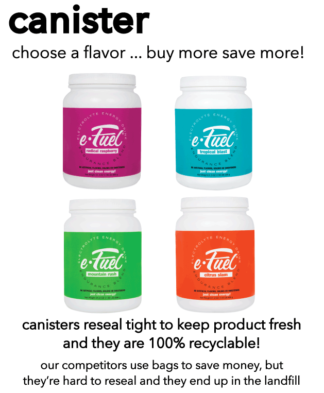 NO artificial flavors, colors or sweeteners … Just Clean Energy!